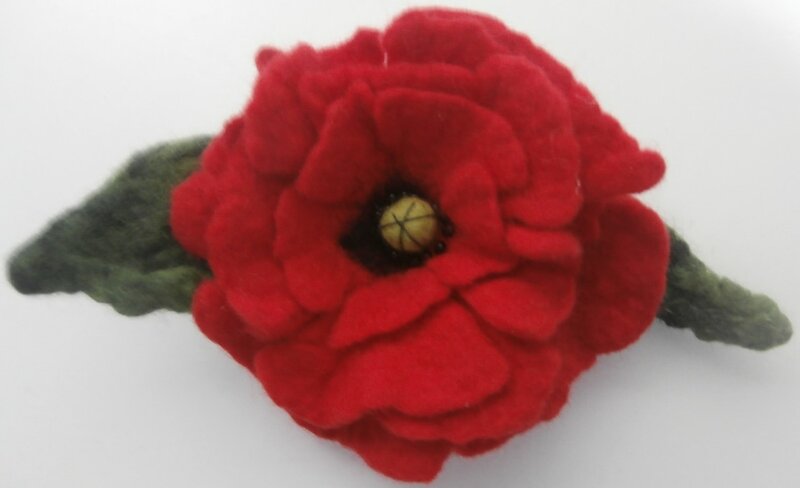 ​Learn to make a beautiful wet felted poppy to wear as a brooch or as an embellishment for a bag, etc. ​in this fun 2 hou​r workshop. Participants will make two flowers (time permitting). Total Cost of workshop is $45. Kit is included in the cost. Please contact me for more information. This workshop will provide participants with the opportunity to work on making a small doll approx. 4" high. 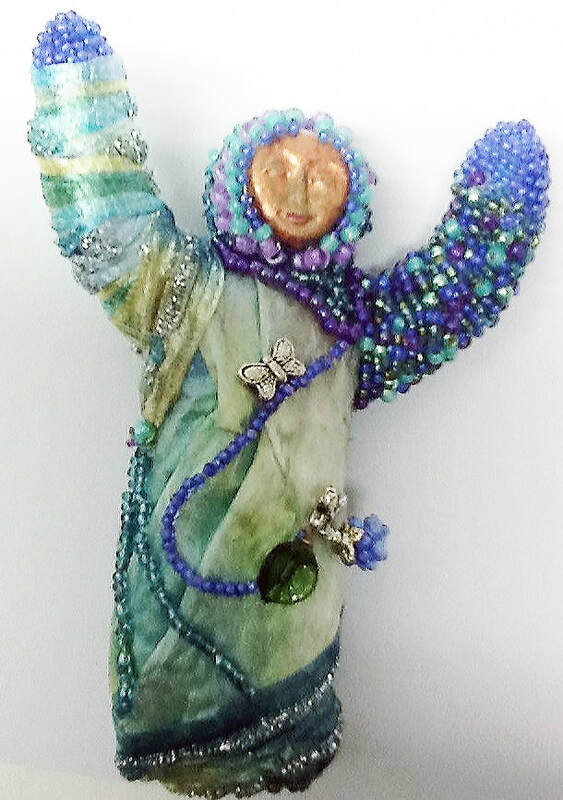 The doll may be fully beaded or embellished with fabric, other fibre, ribbons, etc. Other options will be discussed. ​Hours: 10am - 4pm with a break for lunch. Hours may be rearranged if needed. ​Workshop Fee: ​ $65 per person plus $30 kit fee. ​***Harmony Dolls are labour intensive so expect that much of the embellishment will be completed outside class time. 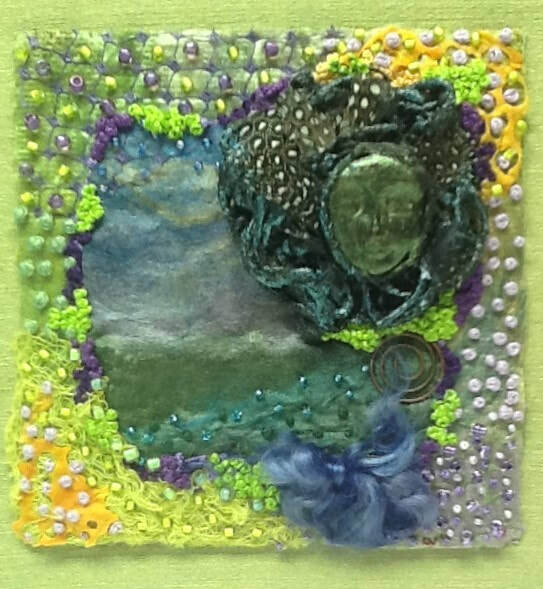 ​​Participants will learn how to make silk paper at the beginning of the workshop but since one has to have a dry surface to work on, each person will choose a ready-made piece of silk paper as the inspiration piece for this project. I will provide: a piece of silk paper (your choice from samples), a piece of fabric medium and supplies for colouring it, needles and beading thread. There will be an assortment of seed beads and threads to use during the workshop. Additional embellishments will be available for purchase, if desired. Hours: ​10 am - 4pm with a break for lunch. Hours may be rearranged if needed. ​***As this collage takes many hours,expect that much of the project will be completed outside class time.